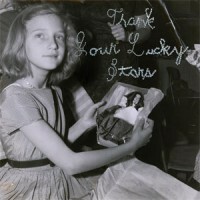 Less than 2 months after the release of 2015′s much celebrated 'Depression Cherry', Beach House will grace us all with their sixth full length LP titled 'Thank Your Lucky Stars'. Andy says: Beach House wowed us this year with their gorgeous comeback LP "Depression Cherry" and now, only 2 months later, they do something fairly unique in pop by releasing a second, brand new collection. This is not an odds'n'sods out-takes jobby. This is a just as brilliant sister record, totally beautiful in it's own right, but with an even better sleeve! Swoon again.